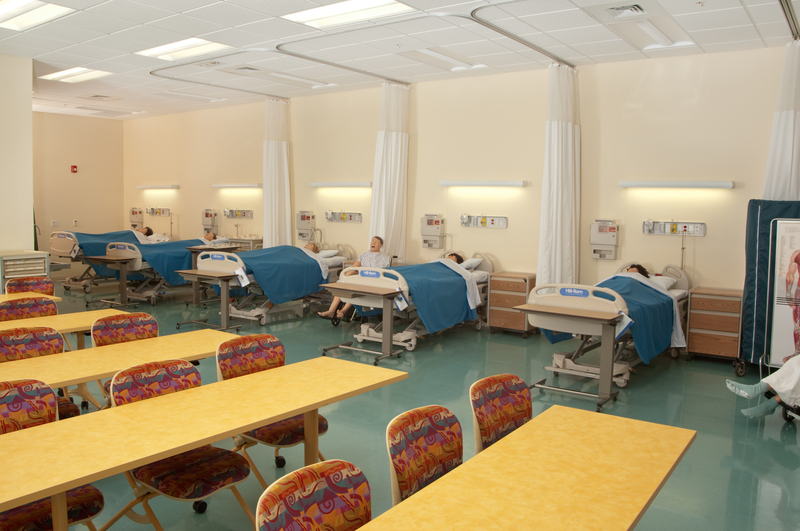 Joe K. & Alberta Blanton Nursing Building | WMB-ROI, Inc.
Florida Southern College received a generous donation from philanthropist Alberta Blanton, and wisely invested in the school’s new nursing program with a state-of-the-art facility. 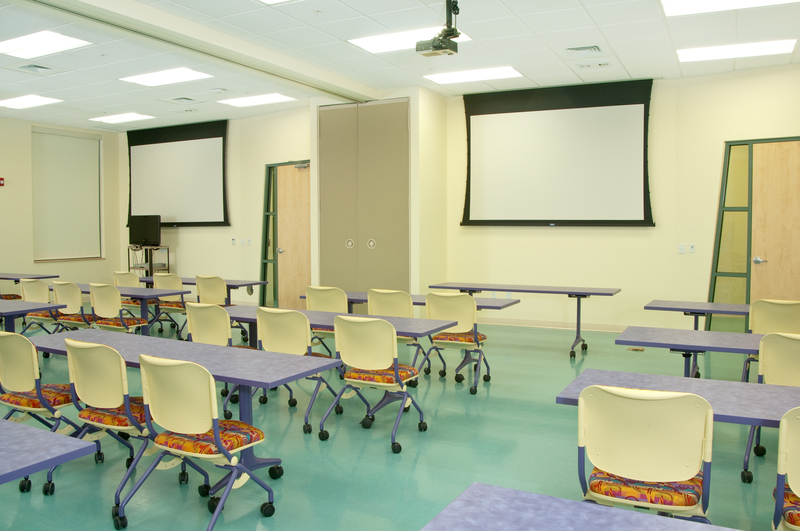 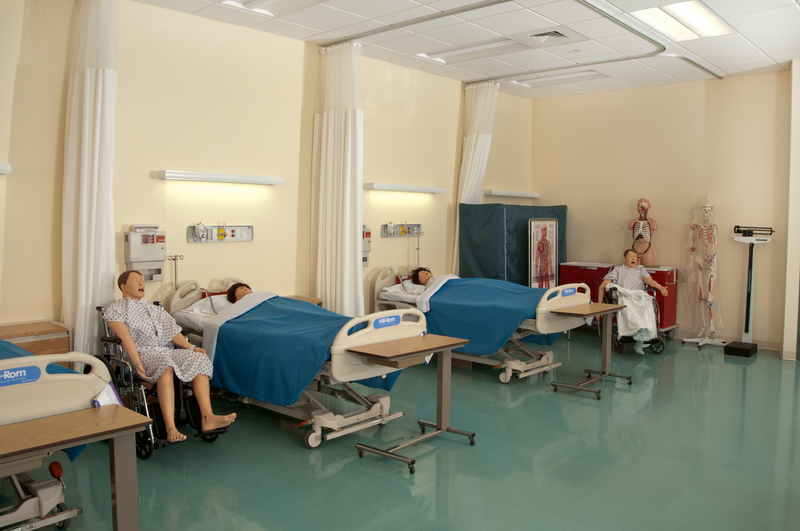 Constructed in three phases, the Blanton Nursing School Building provides medical students with faculty offices, wireless classrooms, simulation operating rooms, and exam rooms that help prepare students for real-world hospital settings. 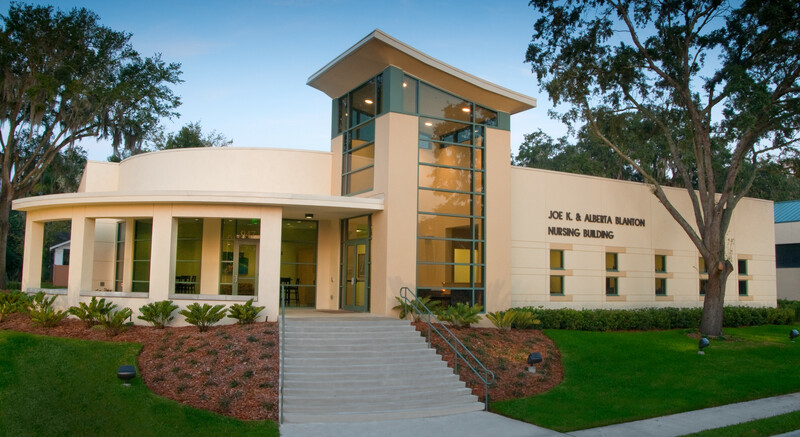 Featuring a distinct curved tower at the front entry, the design echoes the surrounding Frank Lloyd Wright buildings with its dominant horizontal lines, monumental stairs, and strong geometric patterns.